Le Méridien Phoenicia has been sold to Irish investor Hewston Hospital by Starwood Hotels. It was sold as a going concern, to be maintained as a hotel. The sale was handled by Christie+Co of London. 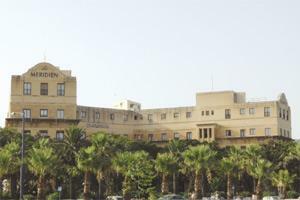 The five-star hotel in Floriana was built in 1947 and is surrounded by the 16th century bastion walls of Valletta, set in a seven acre site. It was remodelled in 1993. It was put up for sale at the end of last year.